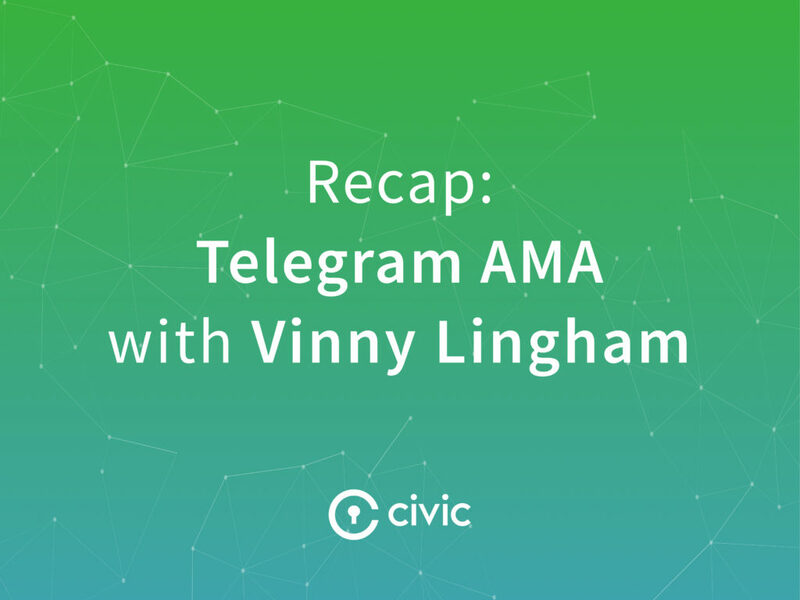 Thank you to everyone who attended Vinny’s AMA on our Telegram channel on July 24, 2018. We received great questions from the community and interesting insights thanks to those who contributed. Luckily, we’ve captured the conversations here for those who missed it. What can I do with Civic today? You can log into websites like Wikihow.com, add a business or ICO, and verify your customer’s identity and personal information. Coming soon are products like IDCodes.com (in private Beta testing – check hilo.io for an example). Who do you believe is Civic’s biggest competitor and how do you plan on defeating them? I don’t think we have competitors across the vision we have, although we have people competing in certain areas. 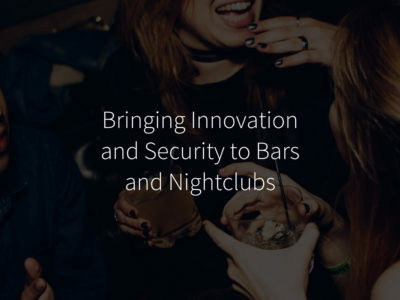 No one else is building an attestation/validation marketplace like what we are doing with Identity.com or even distributed identity such as IDCodes.com. How will Civic adoption take place without marketing? People don’t know about it. Marketing product to buyers will happen soon, but limited to products that are ready for market, such as our SIP platform (KYC for ICO’s etc). Marketing CVC to coin traders is never going to happen. How many big, multinational companies are testing Civic in closed beta? Is Civic well capitalized outside of the price of its token through reserves or is a fluctuating price a risk to building the platform? Civic has enough capital to build and launch identity.com, which was what was the intention of the token sale. Once that is done, obligations are legally fulfilled and the marketplace will be open-sourced and community driven. At that point, Civic (the company) can decide how to further fund development, either from sales of future coins (with advance notice), revenue from the customer, or raising equity finance. We don’t have any path we are committed to right now but will be opportunistic about how we proceed depending on market conditions. We are unlikely to sell CVC in a bear market, for example. Did you have to pay Binance or did they list Civic for free? We have not paid ANY exchange for listings. Have you sold equity? And if so have you sold equity to Cedric Dahl? We have a limited number of equity investors in the company. Cedric, although a great guy, is not one of them. 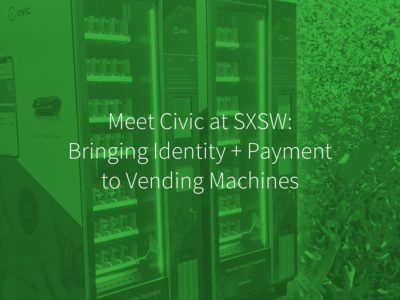 With biometrics, AI, and data protection getting more mainstream attention, do you see this paving the way for the public need for Civic? Many people were complaining about Civic app issues. Where are we with fixing the bugs and stress testing the app for mass volumes? Due to Android fragmentation, this is certainly an ongoing problem for all app companies, but especially high-security apps, like Civic. We are constantly improving it. How much exposure does Civic have in Asia? Any plans to expose? Not much at this point. Not right now. What do you believe are the biggest risks to Civic today both from a technical and scaling the project point of view? Have there been talks with Budweiser about production and marketing of the vending machines? Lots of ongoing talks with many companies, not going to do any announcements today. Who validated the IDs for #cryptobeer? How many validators are expected to be on the marketplace within 1-6 months after its launch? Validators will always be demand-driven – if we generate marketplace demand on Identity.com, they will come. The same way other marketplaces form – buyers bring demand, sellers satisfy that demand. What data is held in the CVC token? Are you confident in Ethereum being secure? CVC tokens don’t hold data. Ethereum is the second or third most secure blockchain today. If CVCs are settled after the verification process, why are the tokens needed? Why can’t we use BTC or ETH to settle and stake? A) you can’t write a smart contract on native BTC. B) the fees are too high, C) staking would mean that a lot of those currencies would get locked up, D) we are then locked to the scaling limitations of that network. There is a yearly single-digit percentage inflation rate of CVC. Will it be inflation rate plus tokens from requesters or just the inflation rate? The unlocked tokens are not “inflationary” per se. 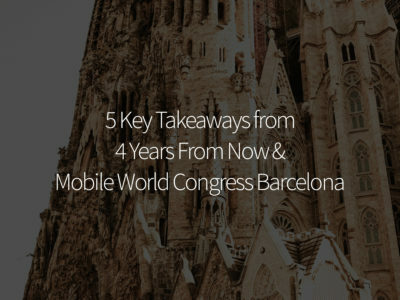 It varies depending on the partner, but the point is to use inflation to offset adoption hurdles and drive network activation and engagement. Does this stop at some point when Civic is big enough? It stops when we are out of tokens from the activation fund, or they have been largely used up. It’s the same way that Bitcoin was launched – coin inflation was how Bitcoin offset the costs of securing the network. The CVC token is B2B. Have there been thoughts on letting the normal token holder interact with the token in the future other than trading it? In the case of a false validation (fake ID), the validator will get punished. But isn’t the requestor in danger for possibly allowing a criminal do to unwanted stuff? Shouldn’t he be getting compensated with the validator’s punishment? Welcome to decentralized trust. The requestor chose to trust the validator. Thank you for the questions, everyone. We had a blast! We’ll keep you posted on future AMAs from Vinny.